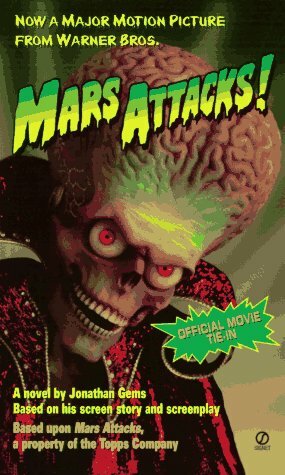 Home > Books > Mars Attacks! Invading theatres Christmas 1996! 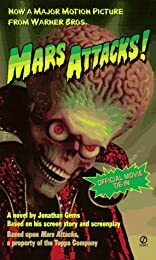 Mars Attacks, the Warner Bros.' motion picture directed by Tim Burton, features an all-star cast including Jack Nicholson, Annette Bening, Pierce Brosnan, Glenn Close, Danny DeVito, Michael J. Fox, and Sarah Jessica Parker. This is the only junior novelization of this science fiction comedy. Full-color movie photos. About Jonathan Gems (Author) : Jonathan Gems is a published author of children's books. Published credits of Jonathan Gems include Mars Attacks!.